This new $8.5 million structure incorporates a world class, state-of-the-art facility for education and training in simulation scenarios for our rapidly growing bachelor of science in nursing program and other health sciences programs. The facility is a steel three-story structure utilizing brick and cast stone as primary façade. The HVAC systems are geothermal. 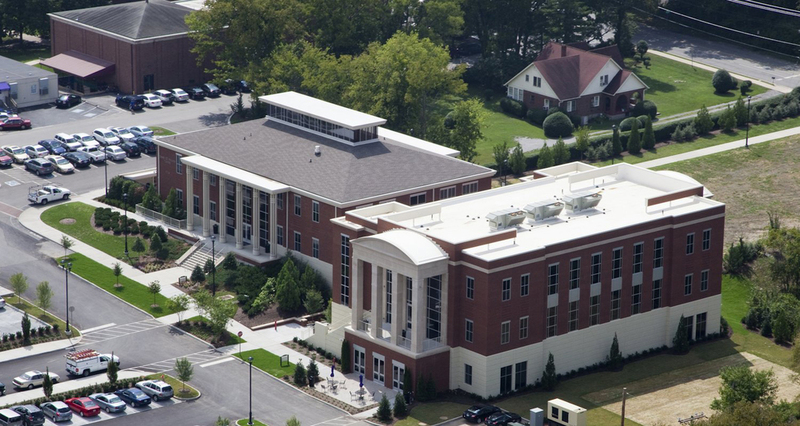 This project was constructed while providing minimal disruption to existing campus function. The building includes a 16-bed unit that simulates a hospital environment, featuring high-tech mannequins that simulate a wide range of symptoms and responses to medical interventions. In addition, the facility includes a 12-station assessment skills lab, faculty offices and state-of-the-art classrooms. The building will convert to a 28-bed triage unit in the event of a crisis or disaster. This building will achieve LEED certification based on LEED Version 3 guidelines as set forth by the Green Building Certificate Institute.